On occasion, you may need to refer to a previous chat conversation you had with a contact. To review the chats you've had with a specific contact, select the desired contact in the navigation pane. A Chat tab with the list of recent chat conversations will load in the preview pane, regardless of whether they occurred within the Web interface or using a third-party chat client. 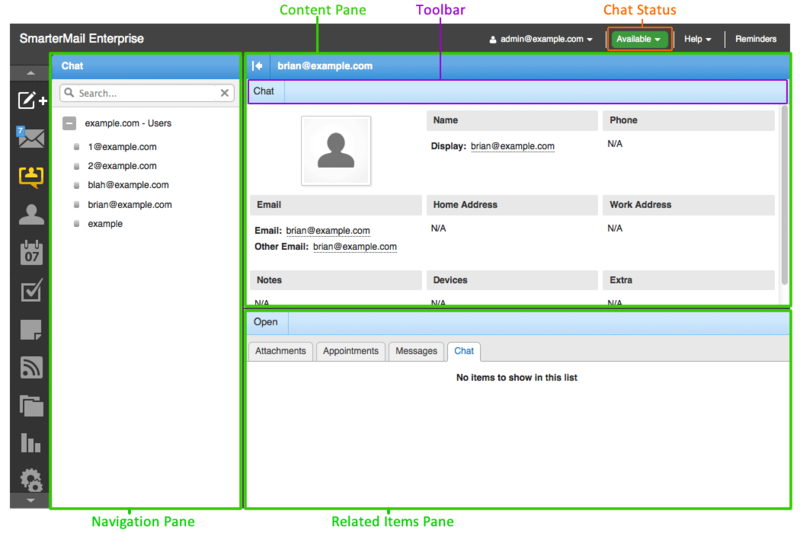 To view the details of the chat conversation, simple select the desired conversation and click Open. The chat history will open in a new window. Saving chat history is a default action and can not be turned off at the domain or system level.